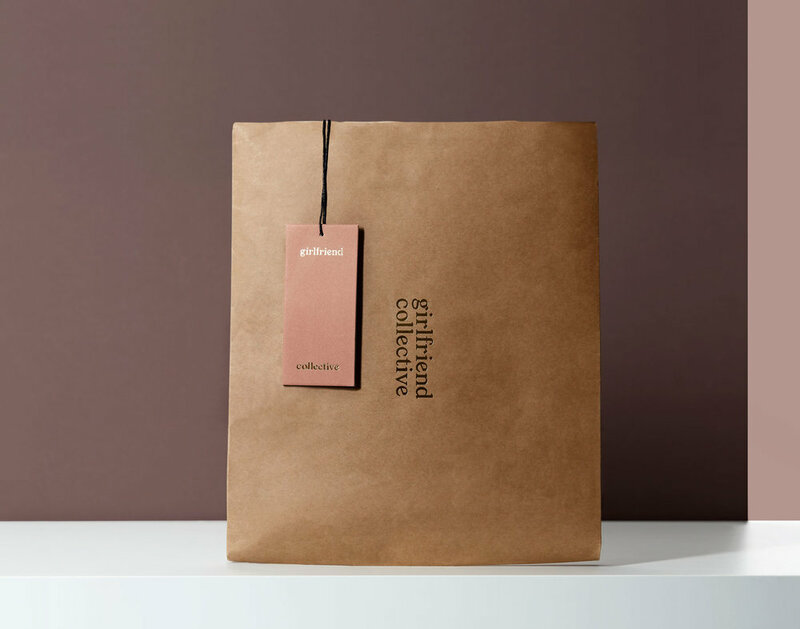 GIRLFRIEND COLLECTIVE | CREATIVE RETAIL PACKAGING, INC.
Seattle-based startup Girlfriend Collective began with a mission to create a fully transparent and ethical business model from the ground up. Founded by fashion guru Ellie Dinh and her marketing maven husband Quang, the duo channeled their individual passions into one company that produces high quality athleisure ware with a clean conscience. From the materials they source to the factories they choose to work with, each business decision is vetted through their commitment to transparency. Not withstanding, they wanted a packaging program that would adhere to the same strict standards. Since its inception, CRP has had the honor of working alongside Girlfriend to develop its ecommerce program. In developing the components, every piece is comprised of 100% recycled materials — from the hangtags to the shipping materials themselves. 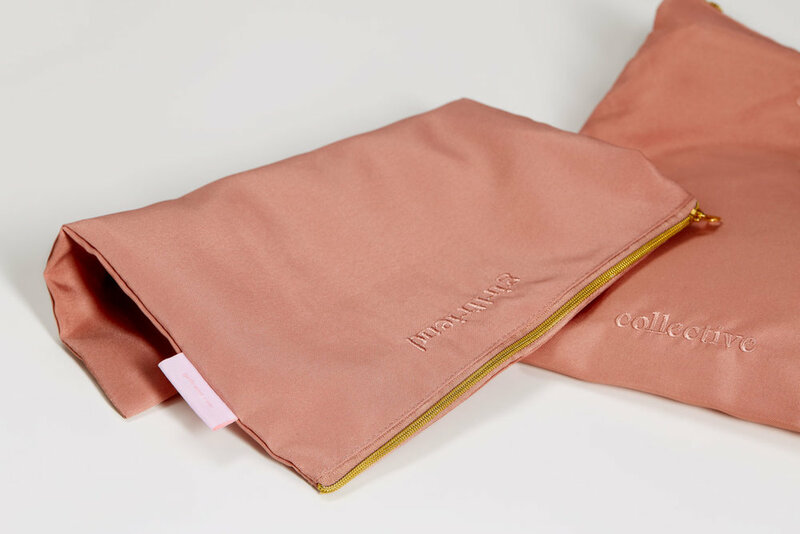 Part of the program features a gift with purchase: a reusable pouch made from 100% recycled cloth, even down to the thread used for stitching. Production took place specifically in factories that met ISO certification requirements and used FSC certified paper. The result is a beautiful program — inside and out — that celebrates the brand's core tenets: quality, natural beauty, and transparency.